In an article last week in Singapore’s Lianhe Zaobao (联合早报), CMP Director Qian Gang outlined the emergence in recent weeks of “public opinion struggle” (舆论斗争), a new hardline term to characterize the Chinese Communist Party’s bid for dominance over public opinion. [Our English version of Qian Gang’s article is here]. Our partial translation of Cao Lin’s rebuttal to the Global Times editorial is below. In a China marked by reform and transition, strong offensives [on key problems] are difficult to get moving, tensions are everywhere, problems abound, and interests, ideas and values are diverse. Add to this the fact that the internet has offered a platform by which various different viewpoints can be expressed and you have a public opinion environment in which a hundred schools of thought contend and a hundred flowers blossom. Various interest groups, trends in thought, and various kinds of people — all gather to express themselves and their demands on the internet, which is the freest medium. Thoughts stir, viewpoints cross swords, interests vie. And while it is true that the friction sometimes gives off the scent of gunpowder . . . generally speaking this only happens on the level of opinions . . . and there is a basic, bottom-line consensus under which [these pluralistic ideas] can be tolerated: the law. We don’t need to be overly anxious about ideas crossing swords online. First of all, because the internet does not equal the real world. Voices online are most often amplifications of the real world, and often the most extreme ideas are the ones that find a market on the internet. The internet does not represent the real China, and mixed up voices on the internet do not mean a mixed up reality. Secondly, we must have trust in the discretion of the public. We must believe that the more we seek the facts the clearer they will become, that the more we pursue the truth the more apparent it will become. In the process of the free interchange of ideas, the public will grow more intelligent. We cannot say on the one hand that “the eyes of the masses are sharp,” and on the other hand avoid giving them any choice at all. If we have full confidence in our mainstream values, then we should allow these to be tested through debate. Third, we must not regard the different voices appearing online as floods and scourges. We should thank the internet for allowing different voices to be expressed. If they were not expressed and released, they would conceal much greater dangers. Fourth, Chinese reforms are currently in danger of losing their driving force, and the open contest [of ideas] on the internet helps melt away the hard ice, balancing against vested interests and providing much-needed energy to reformers. This idea of a “public opinion struggle” fills people with dread. This high-spirited “struggle” [the first character of the two-character combination for “struggle”] is full of violence and viciousness, making people think of the bloody “struggle sessions” (批斗) [under Mao Zedong’s rule], of bitter life-and-death “combat” (战斗), of the ridiculous struggle against the roots of ideas in oneself, and even of the idea of “class struggle” that fills everyone with bitter memories. Words like “struggle” were basically tossed out of our political dictionary after the start of economic reforms in China. People gradually forgot these revolutionary-era terms. So to use “public opinion struggle” to describe the contesting of ideas today is a blast from the past. For example, there is a certain senior colonel [in the People’s Liberation Army] who write on Weibo: “I think back to the gunshots of that great counteroffensive sixty years ago. That year the battle was on Triangle Hill. Today the battle is on the internet! . . . I firmly believe that the people of China will thoroughly pulverize the unbridled attacks by those antisocial and anti-China forces. I wait in hope!” This kind of warmongering, Cultural Revolution-era tone, using “war thinking” to approach online debate, really makes me wonder whether I’ve done something wrong in how I’ve opened my own Weibo [NOTE: the author is being sarcastic here, which comes across poorly in our poor translation]. How has the discussion of different viewpoints, the debating of different ideas, become a “struggle”? Who are we getting ready to “struggle” against? If we talk about “struggle,” this has to imply a life-or-death showdown, so an enemy must be designated. So who exactly is the enemy in this contesting of interests and conflict of opinions within our society? The basic fact is that conflict has long existed between the government and the people in the public opinion sphere. Owing to a lack of communication between the two there has been a great deal of misunderstanding, and the government has sought all along to someone break through these two public opinion spheres — and by “break through” I mean they have sought the fusing of the two, which means communication. This logic of the “public opinion struggle” flies entirely in the face of this communication. It’s no longer about communication, but about struggle. 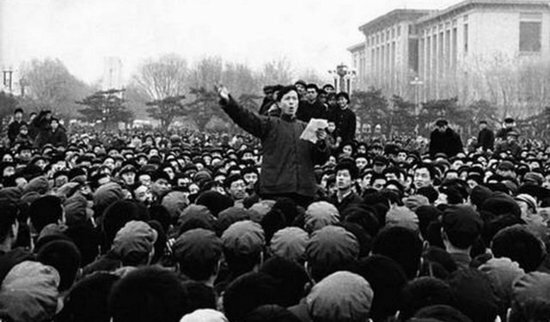 There are officials who really pine for the era when “public opinion was uniform” (舆论一律). But in the internet era, when everyone has a microphone, “uniformity of public opinion” is frankly impossible, and we can’t just hurry out and “struggle” against anything that is different. China can’t possibly backtrack.